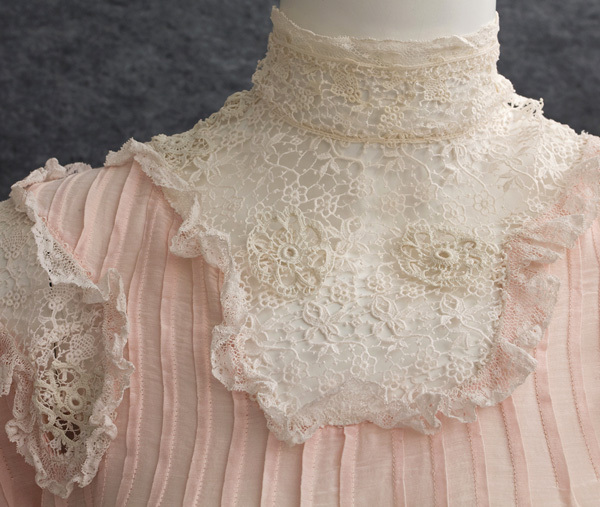 With their elaborate handwork, dresses from the early 20th century are treasured by today's collector. 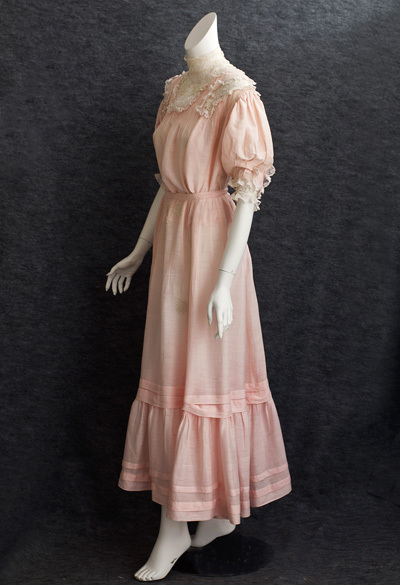 The style is soft and romantic, appealing to our nostalgia for the unhurried, genteel lifestyle before WWI. The petal-soft pink hue is a pleasant alternative to the usual white. 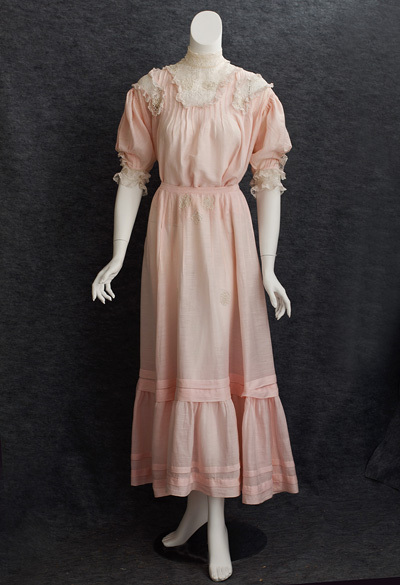 Made from sheer cotton voile, the fetching dress will need a slip. 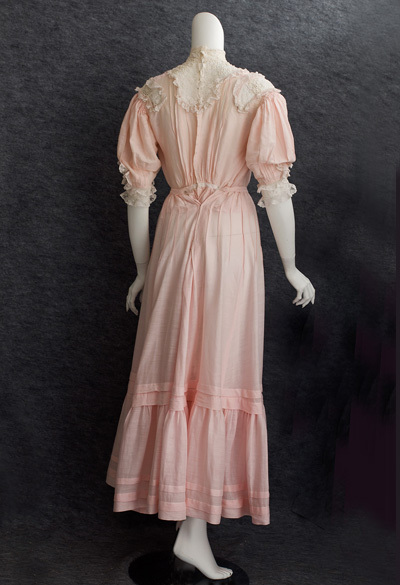 The bodice is embellished with charming ruffles, lace inserts, and narrow tucks; the skirt is decorated with rows of wide tucks. 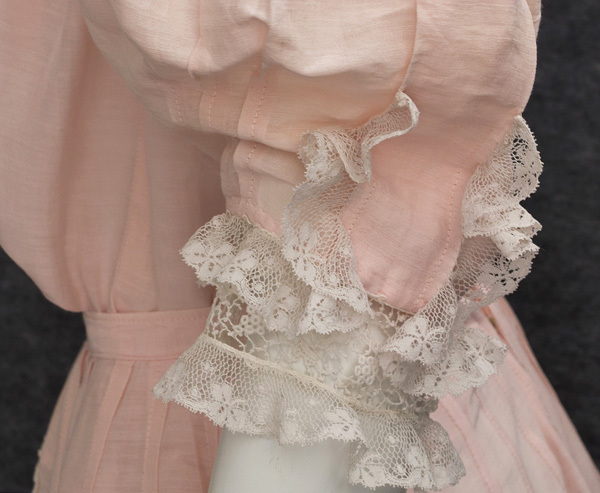 The blouse has pretty puffed sleeves and closes in back with small hooks. The back fullness is stitched in place at the waist; the front fullness has been unpicked. There is plenty of extra fullness in the skirt to let out the small waistband, if needed. The condition is almost excellent. There are faint stitching lines on the skirt where a wide tuck was let out for extra length. The stitching lines are no longer visible when the skirt is worn over a slip. 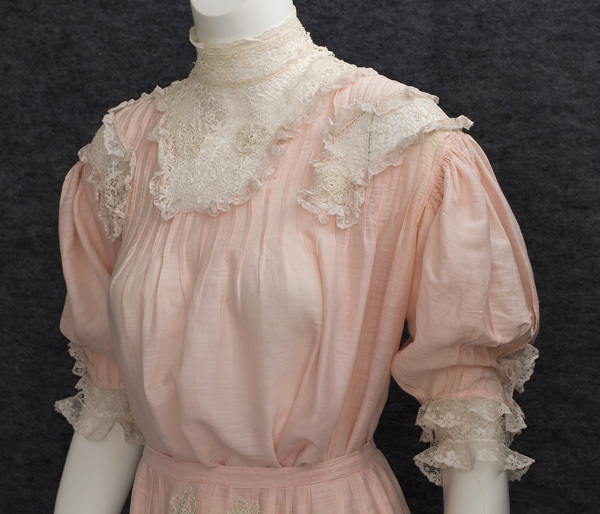 The blouse measures: 38" bust, 14" collar circumference at the neckline, and 20" center-back length (longer in front). The skirt measures: 22" waistband, 44" hip, and 38" length.